Boy, am I ever glad I returned to blogging on a weekly basis, as there doesn’t seem to be a shortage of events to report on! I had a tremendous week of writing at the Crab Cottage VRBO in Newport. The only drawback to that place was that it was on a very busy street in an otherwise quiet town. In other words, it was the perfect setting to be working on the Bungalow by the Sea play script. I felt like I was right at my old home with noisy traffic whizzing by…in an otherwise quiet town. 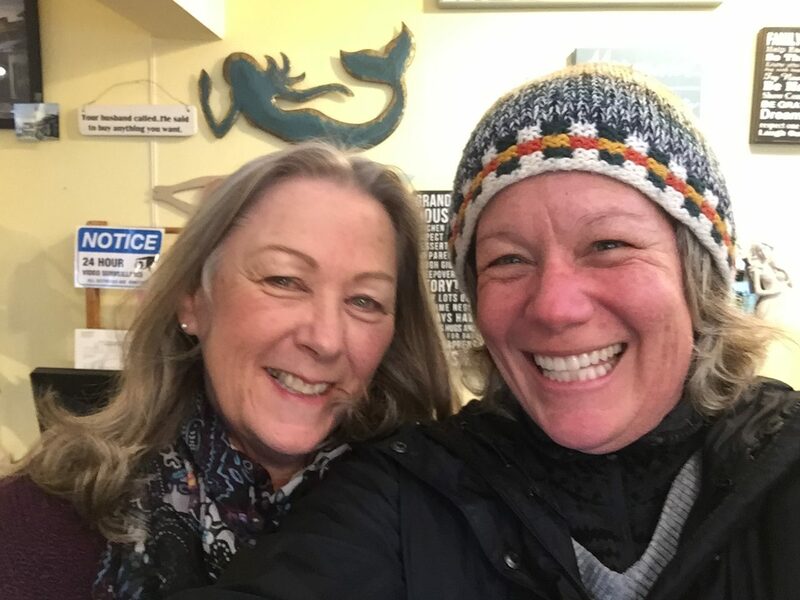 Years ago, when my friend, Terri, and I were on a road trip with my dogs, Sable & Soda, we stayed in Newport and got chatting with Anne, who worked in a really cute store, the Peerless Puffin. So I popped in to the Puffin when I was in Newport and was thrilled to see Anne still worked there! We had a great chat and then met for dinner to gab some more and then the next night, caught a performance of Beauty & the Beast at the Newport Centre for Performing Arts. It was excellent! As you may know, the story is about the importance of changing and growing…and how difficult that can be at times. But when we really want something, we can change for the better. 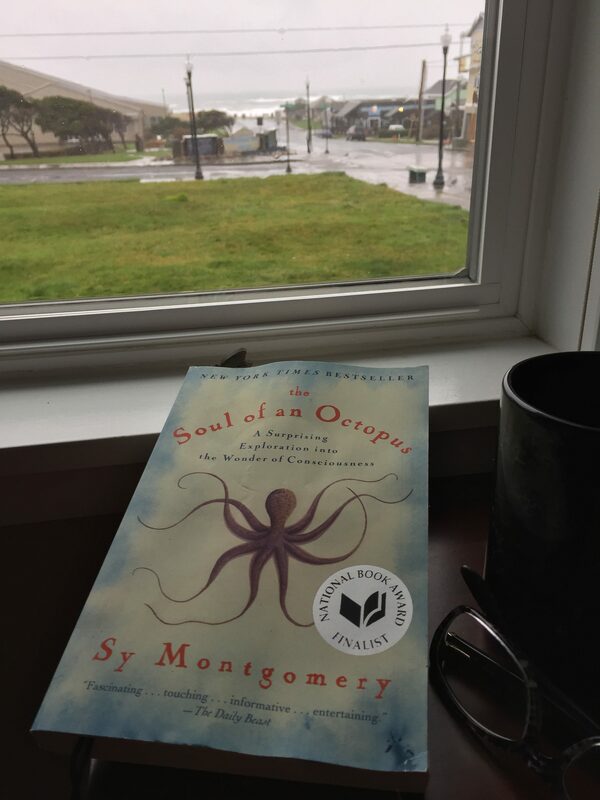 When I first arrived at the Newport VRBO, I was delighted to find The Soul of an Octopus; A Surprising Exploration into the Wonder of Consciousness by Sy Montgomery on the bookshelf. I’ve been wanting to read it for months but hadn’t got around to picking up a copy. 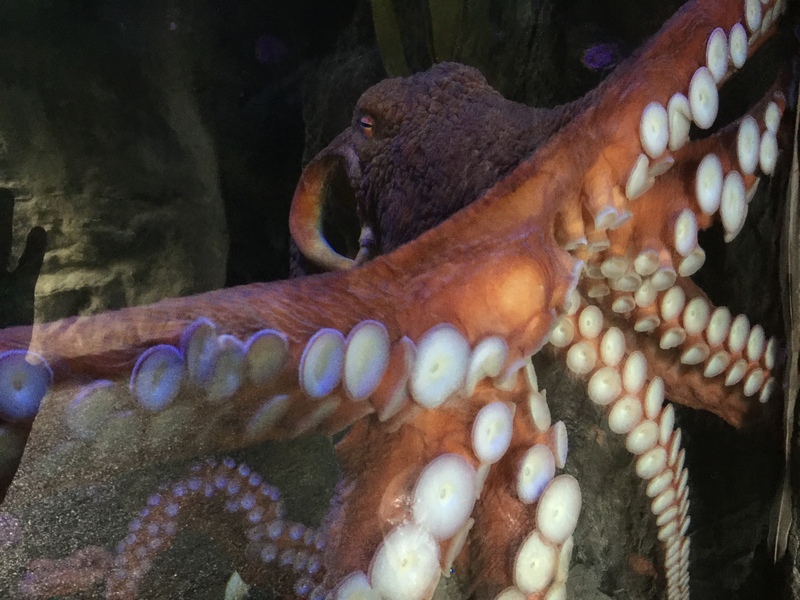 I read it during the week and was so inspired by the story – and the creatures – that I went to the Newport Aquarium one afternoon to see if I could see a Giant Pacific octopus. Theodore (a.k.a “Teddy”) put on quite the show. 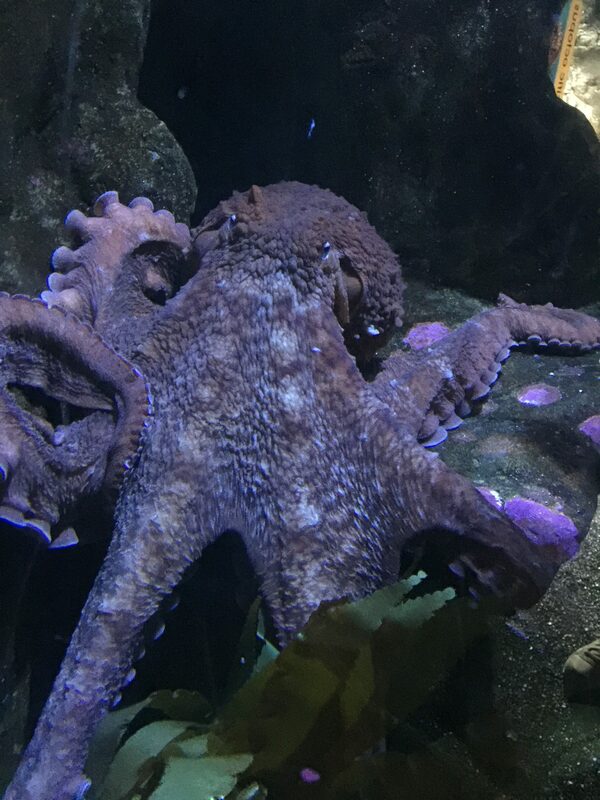 In the midst of his performance, an aquarium volunteer came up beside me and stared at the tank, astounded. I shook my head in wonder and continued watching Teddy for another five minutes, profoundly grateful to be able to be see this. A couple of days later, after a scrumptious breakfast at Georgie’s (my Mom and I had a crab dinner there years ago and the sunset was so spectacular, the entire restaurant broke into applause! 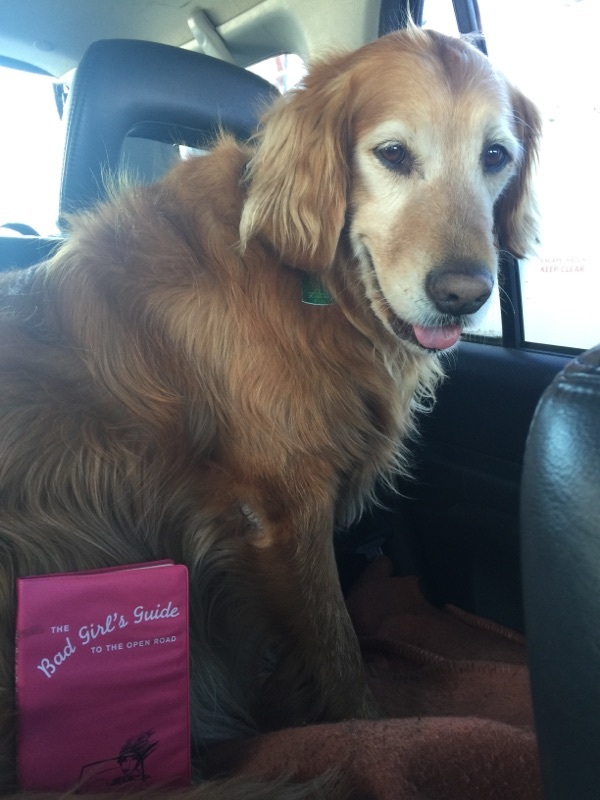 ), Sadie and I hit the road for Florence…but not before stopping at a gas station. In Oregon, they pump the gas for you, so while someone was doing that I checked the oil. Or rather, I tried to check the oil. I pulled out the dipstick to check the oil level but something didn’t look right. So I stood there awhile, turning the dipstick this way and that, examining it carefully. Then it hit me: it was bigger than it should be. It finally dawned on me that I wasn’t looking at just the dipstick but also the gasket-thing that is supposed to be welded to the engine…that the dipstick goes into. HIM (while trying to put dipstick into engine): Geez, you’re right…that hole is hard to find. ME: I have a flash light…do you want me to shine some light down there? So I shine the light from my new handy-dandy headlamp flashlight into the dark abyss. HIM: Better…but I still can’t see to get it in there. ME: How about I go underneath and we can try and guide it that way? So I lie down on my back and slide under the CRV and shine the light up. HIM (after much grunting and groaning): Damn! That is really tight. Can you move the light around a little? ME (trying not to laugh): Sure. So I move the light around a bit. HIM: Stop! That’s perfect. Don’t move…stay right there. ME (trying really hard not to laugh): Okay. HIM (after a few more groans): Damn…your engine is HOT! HIM: Never mind. I got it…it’s in! 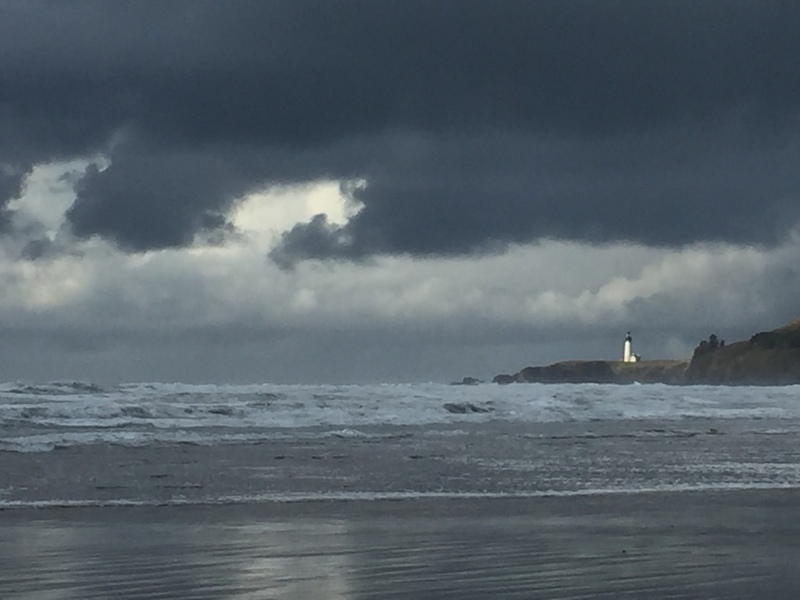 Love this shot of the lighthouse with the sun shining on it, as the storm clouds gather…good-bye Newport! When Sadie and I arrived at our VRBO in Florence, I opened up the front door and nearly burst into tears. It was like walking into my dream home…an adorable cozy, little beach cottage. And, I’m pleased to report, an extremely quiet cozy little beach cottage. I shall post photos in next week’s blog…till then, take care! P.S. Yes, I AM getting the dipstick fixed tomorrow. Hilarious!! Always love your transparency. Maybe you have found your true Bungalow by the sea!!! And maybe close by there is a great dipstick that fits perfectly!!! Here’s rooting for you! OMG! Say what?! Two questions….was he single?….was he cute? Looks beautiful. 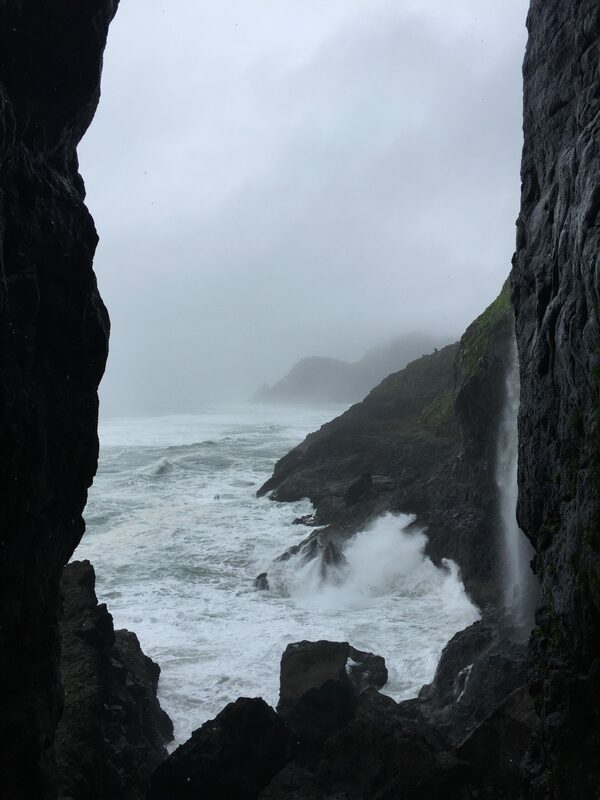 I’d love to go there sometime! Ha ha! Maryanne you are hilarious! I can’t wait to travel with you! I am so happy that you are having such a wonderful trip Maryanne! 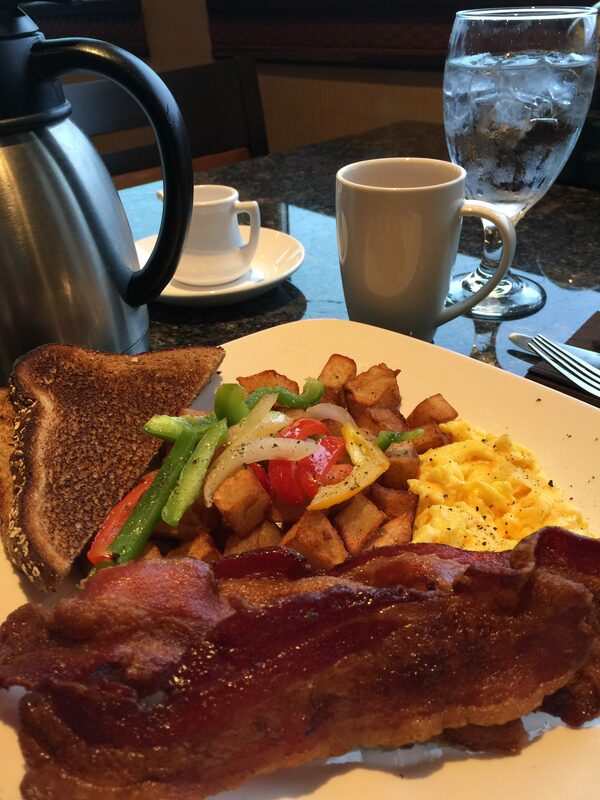 Love your photos …. you are an excellent photographer and sounds like you’re quite the auto mechanic as well! Good work! Scratch to Sadie and hugs to you! ahahahaha…oh it is an adventure for sure, Brenda. Hugs back at you guys! I will TRY and behave myself…but sometimes stuff just happens!!! Can’t wait to travel with you, too! 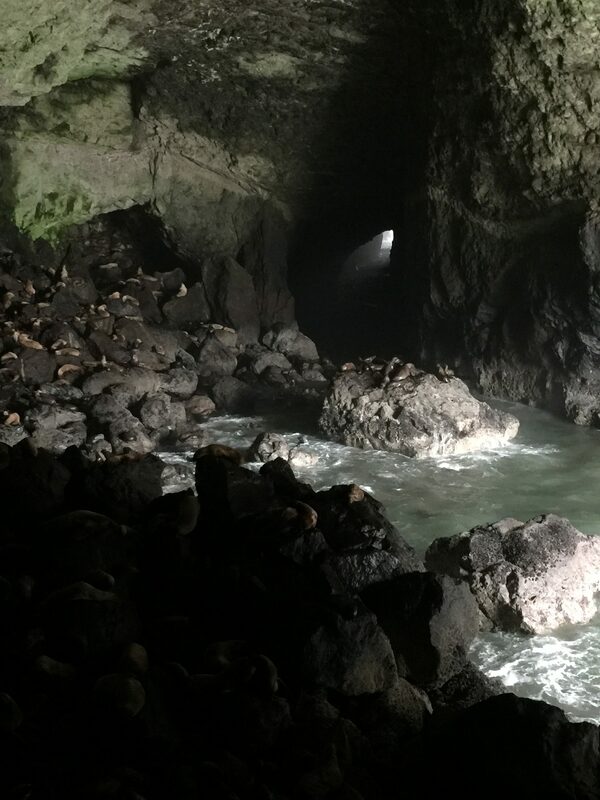 Yes, Jennifer…add the Oregon Coast to your bucket list of places to travel to. And you’ve seen a LOT of amazing places!! Sherelle, you are going to laugh at my next blog about an encounter with a male massage therapist. He WAS single…and for good reason, I suspect. Hope your acting gig is going great!!! 🙂 Thought you’d like that blog, T! Ahahahahahaha…yeah, it was pretty classic!! How could I NOT write about that exchange? !